The Connecticut Bike Walk Summit was held on April 27 at Yale University in New Haven. 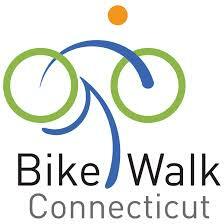 Join Bike Walk Connecticut when you register and get $10 off your individual membership! Join and Save Bundle: Still not a member? Join or renew your individual membership and register for the summit and save $10.$55 until March 10; $60 until April 15, then $70 until April 24. Advance registration is required. We're sorry, but no walk-ins can be accommodated. Register early and save! Bike parking is available behind Linsly-Chittenden Hall. Free car parking is available at Yale Lot 51: Hendrie Hall (Entrance is a right on Temple, south of Grove Street). Click here for the parking map. Lot 51 and the other yellow-colored lots are free to the public after 4pm on weekdays and all-day on weekends. Lot 51 is between 302 and 320 Temple, south of Grove Street.